Traveling involves a lot of planning. You have to pack your clothes, book tickets, and take care of a thousand other minute details. But things can and often do go wrong, even if you are the best planner in the world! Travel insurance can help you tide over all the unforeseen difficulties you might encounter during your journey. Travel insurance can recompense you if you suffer an accident or incur losses during your journey. A travel insurance policy can cover medical emergencies, accidents or even the loss of your passport or your baggage. There are many travel insurance policies that you can buy. The most desirable is the trip interruption and cancellation insurance policy. If, because of an accident or because of bad weather (or any other circumstance not in your control), you miss your plane (or your ship), you will be recompensed and your money won’t go to waste. Also, if the government of the USA issues a travel advisory against visiting a particular country, then you needn’t lose all your money. Some common travel insurance policies cover medical emergencies as well. They will handle consultation charges, visits to the hospital, the cost of your medicines and other such charges. Travel insurance may be bought for a single trip or for a number of trips within a specified period of time. A standard insurance policy covers medical expenses, personal accidents, death, passport loss, baggage loss, third party liabilities and repatriation. Other common types of travel insurances include dental expenses, emergency evacuation, and the return of a minor child. Some travel insurance policies also cover legal costs that you might incur abroad and curtailments. If you are a frequent flier, then it is imperative that you buy a travel insurance policy. Many companies offer a special insurance policy for regular travelers. The policy is comprehensive, and covers all the bases, to protect you from all the things that can go wrong during your trip. Also, these policies are of low cost. 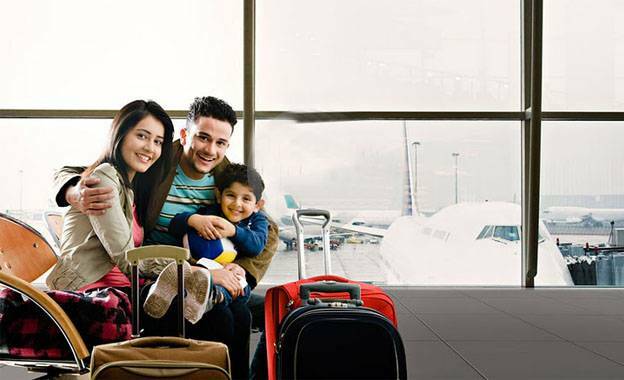 If you are going on a long trip, then you should consider getting a comprehensive travel insurance policy. Are Travel Insurance Policies Expensive? No, usually they are not. The cost of a insurance policy depends on a lot of factors, such as your age, your state of health, your insurance history (if any), the duration of the trip, your place of visit and also the kind of coverage the insurance policy is offering you. The premium that you have to pay is charged on a slab basis, which you have to select from a list of options. It is always beneficial if you do some research before buying a policy, so that you can find the best and cheapest insurance policy provider. You will save yourself a lot of trouble (and a lot of money!) in the long run if you buy yourself a travel insurance policy before embarking on your journey.